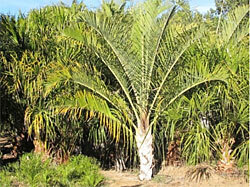 The palm has excellent salt tolerance as well as good drought tolerance. The Coconut palm is ideal for planting close to the coast where they are exposed to salt spray in the air; the tree is an excellent choice for coastal gardens. Nothing could be finer than a Coconut palm; it is the most recognized palm in the world and is the symbol of the tropics. These magnificent trees can grow to 100 feet in height. The Cuban royal palm is native to Mexico, parts of Central America, the northern Caribbean, and southern Florida. 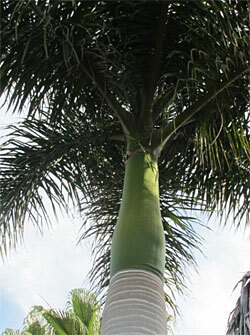 Roystonea regia is a large and attractive palm that reaches a height of 66 – 98 feet, and can stand alone as a focal point. 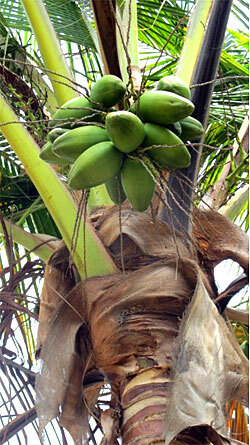 The Triangle palm is native to Madagascar. The 8 – 10 foot long leaves are V-shape and arch near their ends. 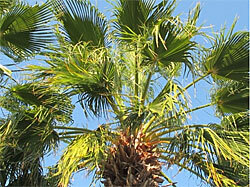 This majestic palm can reach 82 – 98 feet in height and can be considered the garden’s centerpiece. 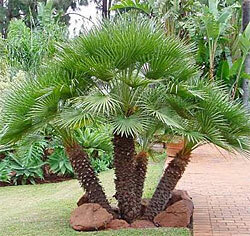 The attractive fan-leaf palms form clumps and have palmate leaves, which are shaped like a fan. 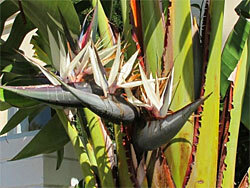 They grow slowly, eventually reaching 6 – 16 feet, and are suitable for potting. 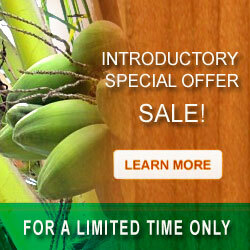 These statuesque palms are probably the most hardy and versatile of all in our palm collection. These trees can grow to 82 feet.